It's no secret that Donald Trump is unhappy with the Federal Reserve and the person who heads it: Janet Yellen. Now Trump is blaming the Fed for creating a "false economy" with its emphasis on extremely low interest rates. "They're keeping rates down because they don't want everything else to go down," the Republican presidential nominee told Reuters on Monday. Trump said the "only thing that is strong is the artificial stock market." It's the latest example of Trump doubting the bull market in stocks and criticizing the Federal Reserve, an institution that tries hard to avoid being seen as having political motivations. Trump has previously accused the Fed and Yellen of keeping rates low to help President Obama's poll numbers. 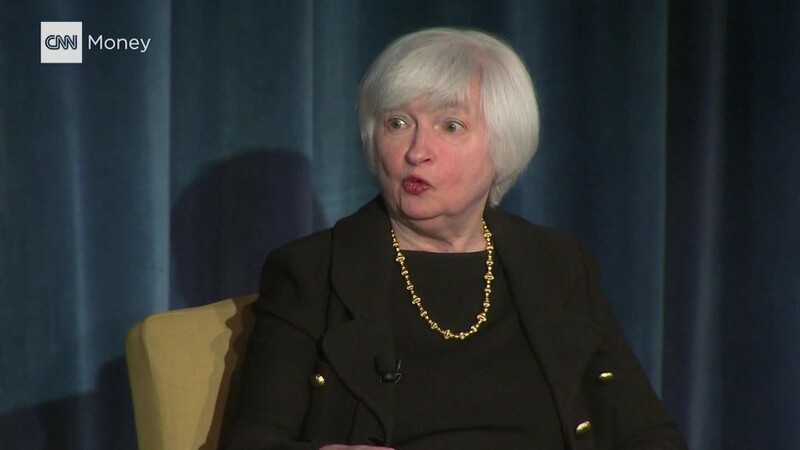 Obama nominated Yellen as the central bank's first female chair in October 2013. "We have a very false economy," Trump told Reuters. "At some point the rates are going to have to change." Related: What the heck is the Fed waiting for? The comments come at a delicate time for the Fed. Later this month, the central bank will decide whether the U.S. economy is healthy enough to handle the second interest rate hike since the Great Recession. Trump is hardly the only person to criticize the Fed for keeping rates low for longer than is needed. Critics argue artificially-low rates will create another asset bubble, like the housing bubble that ended up crashing the economy last decade. Rates were slashed to near-zero during the recession. Others believe the low rates are necessary because the American economy continues to perform below its potential and is being hurt by turbulence overseas. Trump has been somewhat inconsistent about his own stance on low rates. 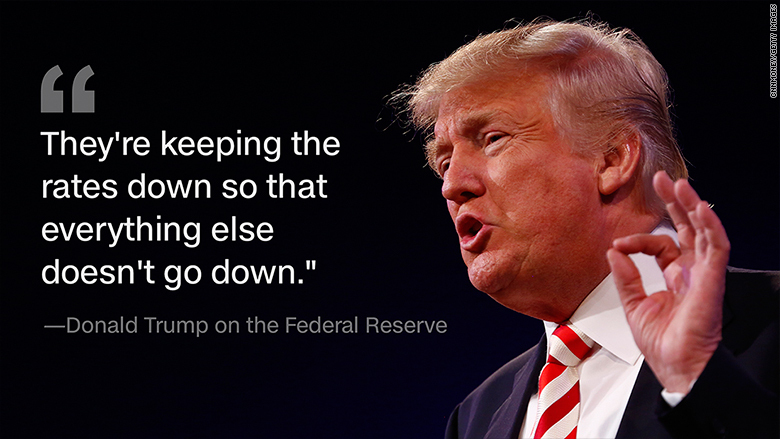 In October 2015, Trump told the Hill that the Fed is forcing investors into an "inflated stock market" that is in the midst of a "bubble." However, Trump also told Fortune in April that it would be "scary" if the Fed raised rates now. "The best thing we have going for us is that interest rates are so low," he said. In any case, with a new CNN poll showing that Trump has erased his deficit against Hillary Clinton, the public criticism of the Fed may not sit well with the markets. "The biggest wild card may be the possibility of a Trump dispute with the Federal Reserve, which markets would not enjoy," Greg Valliere, chief global strategist at Horizon Investments, wrote in a note. "If he wins, the prospect of a public spat between Trump and Janet Yellen will loom by spring."